After seeing his small-time crook father humiliated by a visiting prosecutor, juvenile delinquent Tae-su (Cho In-sung, A Dirty Carnival) realises where the real power in this world is found. 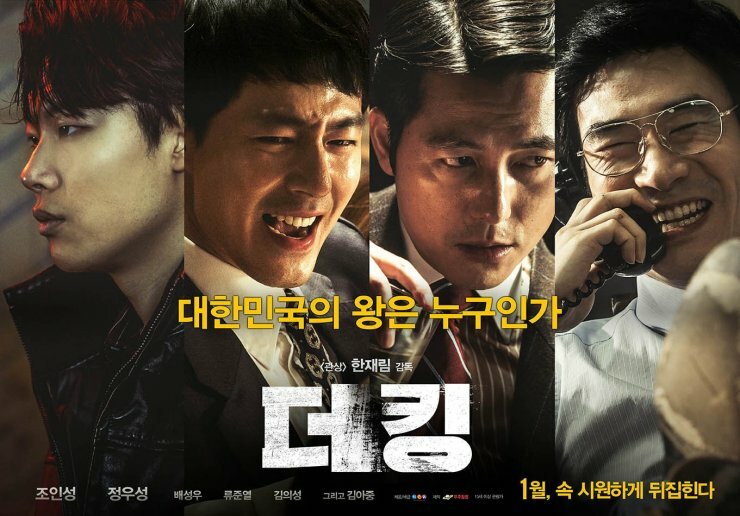 When, after years of study, the long hours and meagre pay offered by his position don’t provide the life he desires, Tae-su puts his morals aside and takes up with the most powerful prosecutors in the country, led by the charismatic Han Kang-sik (Jung Woo-sung, Asura: The City of Madness). Introduced into a world of money, parties and long-sought after power, Tae-su enjoys life at the top but with a career built upon a web of corruption, and with violent gangsters, a wronged wife and shady friends all gunning for him, how long can it last? With its stylish portrayal of the unchecked hedonism enjoyed by men thrust into positions of power and the lies and corruption that keep them there, The King plays out like a Korean Wolf of Wall Street, albeit with more synchronised dancing, shamans and soju.